Water-repellent holster to keep your cell phone close at hand. 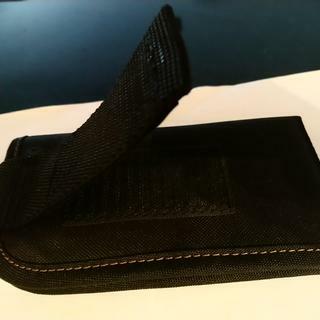 You can snap this cell phone holster onto your tool belt either vertically or horizontally. It holds most sizes of phones, but be sure to measure your phone case too when checking if it would fit. Built to stand up to light rain, the holder is made of heavy-duty polyester with a water-repellent coating. Dimensions: 3.25" x 6.25" x 0.5"
Above average but below 'Carhartt Standards and ingenuity ' in my opinion. 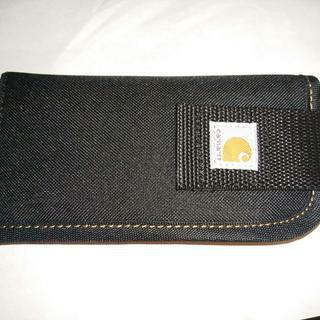 Too small for TODAY'S TREND market size cell PHONES in my opinion, cell phones are not getting smaller Carhartt! The big screen is the new thing! the velcro loop only has about a half inch of space for a belt, you actually need to have the velcro 1/2 to 3/4 open to get a belt through the loop for vertical mount, though the velcro seems pretty strong not all the way closed but still don't like that. When in horizontal mount, the holster is pivoted/supported almost entirely on one end if you were to fully close the velcro which 99% of people will probably prefer to do. So the phones weight is not really supported 'in the middle' of the holster, it's hanging on from one end almost entirely. Lastly, I would ha e preferred an all 'squared up' (rectangle) instead of that one rounded side. A case (pun intended) in which I was disappointed by this carhartt product. As usual, a little above 'regular price' because it's Carhartt and I have no real issue with that, its carhartt! But disappointed overall. We appreciate your feedback and have shared it with our Product Design department. Please contact us at 1 800 833 3118 if you need any assistance. Will my i-phone xs max fit in this?? BEST ANSWER: My I-phone X fits with a slim case and my son’s 6 plus fits with a slim case on. My husband’s X doesn’t fit but that’s because of his bulky case. I hope that helps. iPhone X fits and iPhone 6s that had the larger screen fits is all I know. The Velcro is strong and it is very secure on a belt. Will this work on the iPhone 8 Plus? Will the Google Pixel XL fit in the phone holster? BEST ANSWER: This will fit the Google Pixel XL. The dimensions for this is 3.25in x 6.25in x 0.5in. Will this fit with the Bullnose Carharrt Case on the Iphone x? Thanks! BEST ANSWER: No it will not. This phone sleeve was designed for the iPhone 6 and 8. It will barely fit the iPhone 8 with a cover so I do not believe it would work on the iPhone X because it’s even larger than the iPhone 8. I have an iPhone 7 Plus. Nice case; however IT DID NOT fit my phone with a medium sized Pelican case. I returned the case as it did not satisfy my needs. Will it attach to tool bags? BEST ANSWER: I guess it would if there was belt that would slide through the loop. I was excited to try a Carhartt cell phone holster. But I had to return it because it wouldn’t fit my iPhone 7 with a small Pelican protective case. Disappointed that it didn’t fit. It could attach to the handle or strap. I attach it to my belt. It's a velcro attachment so it needs to go around something. 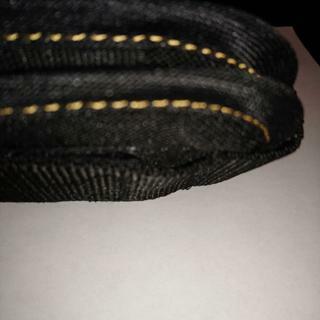 I was thinking it was going to fall off since it's Velcro but it stays on my belt with no issue. That attaches to a belt or tool bag handle. Can you show a picture of the back of the holster?